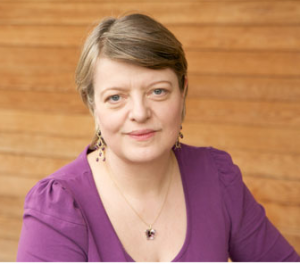 Kate Wilson, managing director for Nosy Crow, IPG Publisher of the Year, and leading British publisher of books and apps, recently took part in an online “discussion” on what goes into writing book apps and how it differs from picture books. Wilson explained how it all began. So let’s deal with that first. A key reason that apps (and ebooks, but that’s a different subject) are attractive to publishers is that people are willing to pay for them. They are not always willing to pay a huge amount, and it’s certainly the case in our experience that you need to deliver more content more cheaply than you would in print. However, there’s evidence that people’s willingness to pay is increasing: Carly Schuler’s report for the Joan Gantz Cooney centre on children’s educational apps suggested that the average price of children’s educational apps had risen by a dollar between 2009 and 2011… and, as that represented a move from $1.13 to $2.14, that’s an 88% price increase. By contrast, it’s proved hard for publishers to get readers to pay for online content (outside business, educational, scientific, technical and medical publishing – I am talking about “trade publishing”, and specifically children’s publishing, throughout this blog post). It will be interesting to see if initiatives, interestingly not taken by publishers themselves, like Magic Town which are based on reading and books, take off in the way that other kinds of virtual worlds like Moshi Monsters have taken off. But maybe I am misunderstanding Moira. Maybe she is saying that she wants publishers to reach out to authors to create apps. We’d love to find authors who are interested in working on apps. Creating an app is a highly collaborative process. More, perhaps, like writing a film-script than writing a book. Of course, picture book authors are used to being edited, but writing something truly interactive which accommodates other media does require a different level of flexibility and team-playing. Our apps are highly interactive and include illustration, animation, voice audio and music: the text is, just by virtue of the arthmetic a smaller part of that mix than it is in a picture book…which is not to say that it’s not a hugely important part of the mix. Creating an app is a technical process. Moira writes about “teccies” and “computer whizzes”, and I think that authors who are interested in working into new media need to get to know “teccies” and “computer whizzes” and understand their kind of creativity, their sensitivities and what they regard as excellent in their fields. That’s not to say that authors need to come to publishers with a finished, coded app (we wouldn’t want that, for example: we have our own technical team, and we want to use code we’ve created), I do think that having some understanding of what does into animation and coding is helpful. Creating an app is a new process. Authors who write picture books know their genre inside-out, and can draw on a huge experience of reading picture books themselves and, usually, of reading picture books to children. In August 2009 Winged Chariot launched Europe’s first picture book app (you can read about it here and elsewhere), so we’re looking at a genre that is just three years old. We began work on apps that we expected would be used on a screen bigger than the one we had available several months before the launch of the iPad, which turned out to be the name of the device we’d been expecting, in May 2010. So apps are new, and they’re developing fast. I think that authors who are interested in writing in this space need to keep up with developments, immerse themselves in this world and get to know the best of the apps that are out there, and, even better, spend time with children who are reading those apps to see how they use the screen and what they expect from it. Apps are voracious: in our experience, they need more content than a picture book aimed at the same age-group. Writing a picture-book length text isn’t going to provide enough text for an app. Which is not to say that you can have even as much text on a screen at any one time as you can have on a printed page. Apps are non-linear, or, at least, not completely linear: in our experience, understanding the balance of narrative story-telling and other non-linear elements is important. The bottom line is that we get a lot of submissions of picture book texts that are sent into us as something that “would make a good app”. Often this is on the basis of just a couple of suggestions of interactivity: “when you touch the sky, the stars twinkle”, for example. But, in our view, that’s just not enough. In fact, we’ve written the texts for all of the apps we’ve published to date. But that’s about to change. Our next app, Rounds: Franklin Frog, from which you can see an illustration at the top of this post, is written by an “outside author”: a husband-and-wife author-illustrator team came up with the concept, wrote the script and did the illustration. Even then, I think that Emma, who wrote the script, would say that there was a fair amount of team-work and back-and-forth involved in hammering out the final text. And, once we’d done that, there were final tweaks to be made in the recording studio: we use children’s voices and there were a couple of things that our narrator, Connie, just couldn’t say with the level of expression and fluency that we needed… so we changed them on the hoof. We kept the sense, and stayed true to the author’s intention, but we changed a word, or word-order, or the rhythm, to create something that sounded right, rather than read right.